SKU:1023809. Categories: OTHER, WALKING RINGS AND ENTERTAINERS. 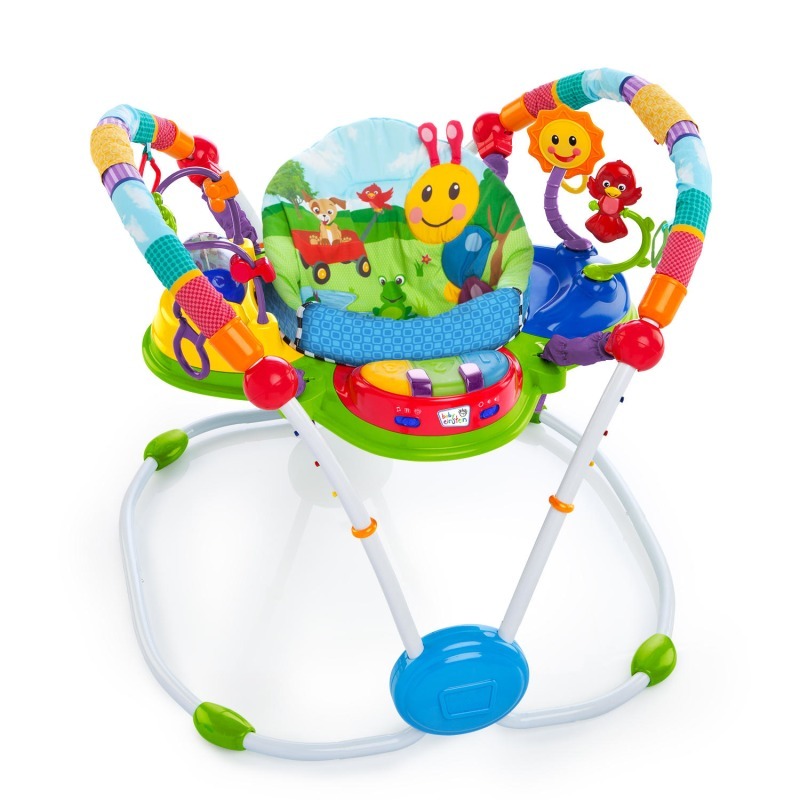 Little ones will jump with delight as they explore the neighborhood with their favorite Baby Einstein friends. The Neighborhood Friends Activity Jumper has 12+ activities that surround babies and encourage 360 degrees of fun multi-sensory experiences. The electronic piano has lights, volume control, and three modes: classical melodies, piano key tones, and language discovery in English, French, and Spanish. 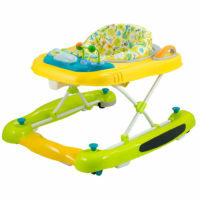 Other fun activities include a spinning frog bead chaser, spinning rattle drum with beads and a mirror, and more. 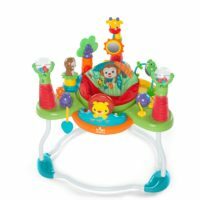 It also includes additional link loops to add some of baby’s favorite toys. The Secure Support Seat provides extra support for little ones, and with five height settings the jumper grows with baby. 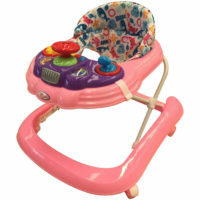 This Award-Winning jumper was honored by American Baby Magazine’s Top Picks 2015, with over 60,000 parents voting on their favorite baby gear items. As seen on ABC’s Good Morning America in 2015.